A bunch of new ‘iPhone 8’ drawings and renderings leaked by a somewhat reliable Weibo leaker KK, show a device that measures 137.54 mm tall by 67.54 mm wide, which makes it nearly identical to the iPhone 7’s 138.3 mm x 67.1 mm body. 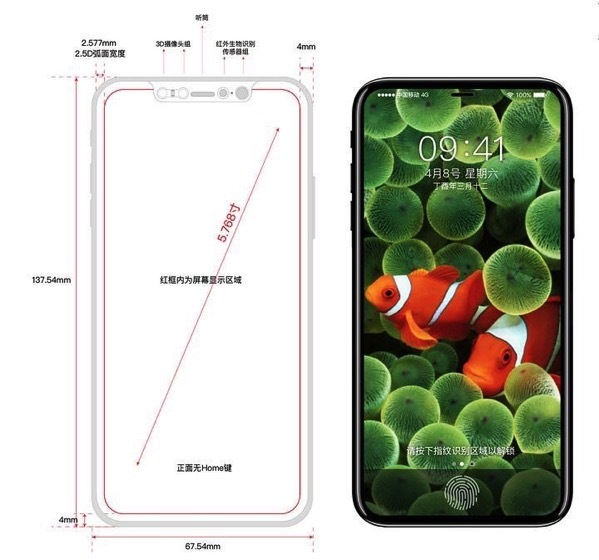 However, the device’s display measures 5.768 inches on the diagonal, suggesting it will indeed cover nearly the entire front of the device (via MacRumors). There appears to be only a 4 mm bezel around all four sides of the display, with over half of that being the 2.5D curved glass at the edges and the remainder appearing to be the device’s frame around the sides. The drawing shows a narrow earpiece at the top of the device’s front, with various cameras, sensors, and other components on either side of the earpiece. The thickness of the iPhone 8 is not shown on the drawing. The components, which include a front-facing camera, small microphone hole, ambient light sensor, proximity sensor, and a possible 3D sensor, appear to be embedded within the display area itself. Since the front camera and other sensors are not clearly depicted in any diagram, it is not yet clear how they would appear in reality. 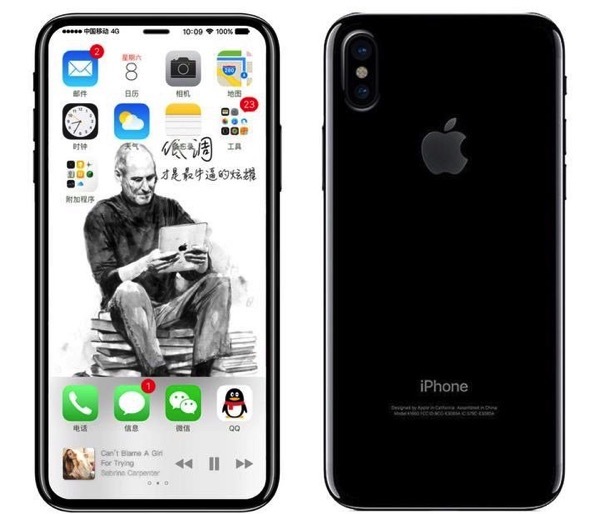 Alleged ‘iPhone 8’ mockups by iDropNews showing a very similar design were published a few days ago, although it is unclear whether the two sets of renderings are based on the same original source or two different ones.